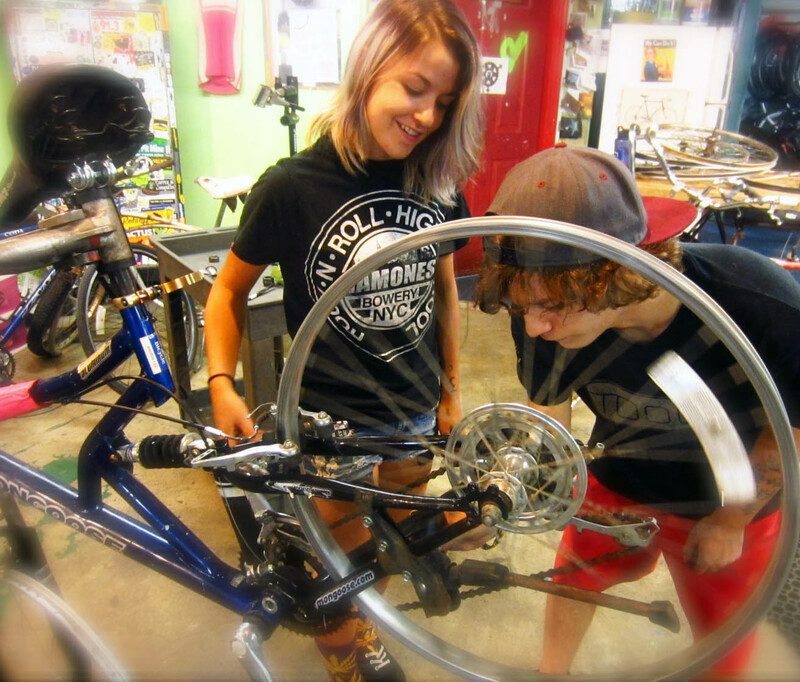 The innovation of Community Tools lies in our shop motto: “We don’t fix your bike for you” (a temporary solution), “we teach you how to do it” (an empowering opportunity). 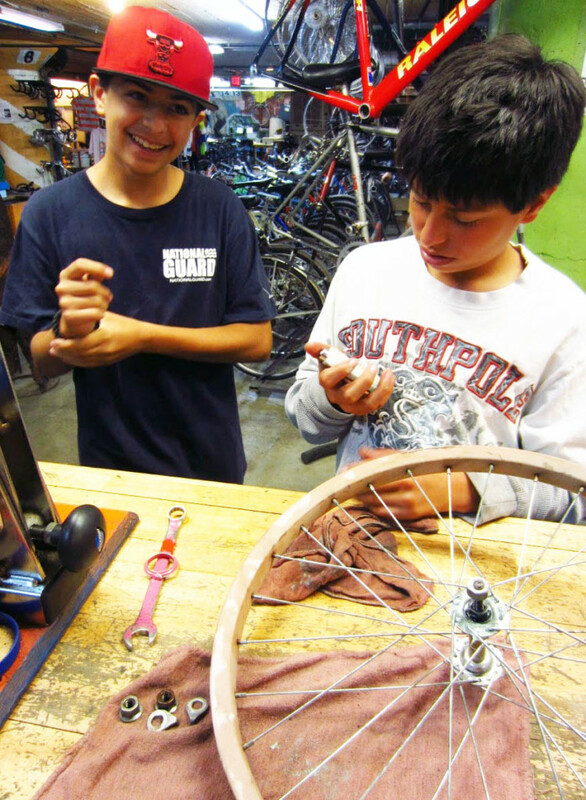 This has enabled BICAS to become much more than just another bike shop and allowed us to remain true to our educational mission. For our community members who don’t have much money, we also offer a unique Work Trade Program where they can earn credit, which they may use to pay for shop time, or our Earn-a-Bike Program. 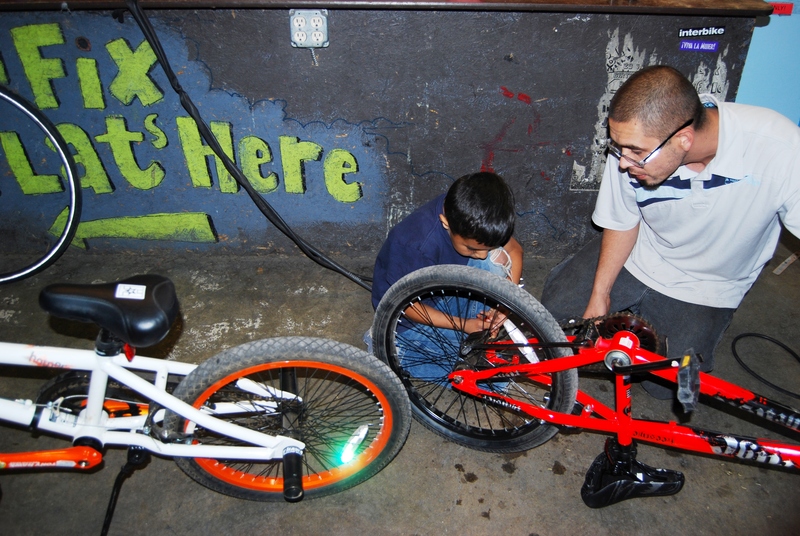 We welcome people of all ages and all walks of life to come down and learn DIY bicycle maintenance skills at our shop. Community Tools continues to be an essential resource for some of the most vulnerable members of our Tucson community, including the homeless, veterans, immigrants, refugees, youth, and LGBTQ people. Many of these people rely on their bikes as their sole method of transportation, and rely on BICAS to help them keep it rolling week after week! Do keep in mind that we are not the end-all-be-all. 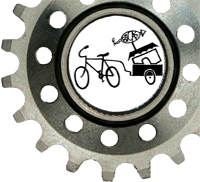 For high-end repairs, you may need to take your carbon fiber and racing bikes to the pros at Tucson’s other great bike shops, such as Fairwheel Bikes (near UA) and Ben’s Bikes (east side). Sliding scale = you select the rate you can afford. 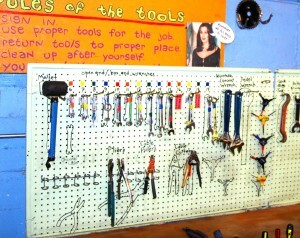 Shop Time and Tool Use: $6-12 hourly rate – sliding scale. Daily Fee Cap: $30-60 sliding scale for the full day!